Factory Car purchased from Dodge with only 5 miles Wow!!! COME SEE WHY WE ARE TOP RATED BY OUR CUSTOMERS! 2015+2014 Colorado Dealer of the Year!!!!! (Dealerrater.com) 2015 5 Star Dealer Award (Edmunds.com) 2015 & 2014 Top Certified Pre-Owned dealer (Jeep.Dodge,Chrysler,Ram) Locally owned and operated for over 70 Years! CARFAX One-Owner. Clean CARFAX. Certified. Blue 2018 Jeep Compass Latitude 4WD 2.4L I4 Priced below KBB Fair Purchase Price! COME SEE WHY WE ARE TOP RATED BY OUR CUSTOMERS! 2015+2014 Colorado Dealer of the Year!!!!! (Dealerrater.com) 2015 5 Star Dealer Award (Edmunds.com) 2015 & 2014 Top Certified Pre-Owned dealer (Jeep.Dodge,Chrysler,Ram) Locally owned and operated for over 70 Years! CERTIFIED PRE-OWNED VEHICLE!, LEATHER. CARFAX One-Owner. Clean CARFAX. Certified. Gray 2018 Dodge Journey GT AWD 6-Speed Automatic 3.6L V6 24V VVT Priced below KBB Fair Purchase Price! Don't just buy used!! You can get top rated factory certified that includes: a 6 year 80,000 mile factory warranty, all the books, 2 keys and remotes if equipped, roadside assistance and towing benefits, loaner car rental, ASE certified 125 point service and safety inspection and a Carfax vehicle history report! Factory certified is the smart way to buy your next vehicle! Choose from over 400 cars and trucks in stock in our 3 story covered parking garage. We are a Colorado new car dealer for 60 years and counting. Call us and save today! The price listed is the cash price. No dealers please! CARFAX One-Owner. Clean CARFAX. Odometer is 1111 miles below market average! Certified. Black 2018 Jeep Compass Limited 4WD 9-Speed Automatic 2.4L I4 Priced below KBB Fair Purchase Price! 22/30 City/Highway MPG COME SEE WHY WE ARE TOP RATED BY OUR CUSTOMERS! 2015+2014 Colorado Dealer of the Year!!!!! (Dealerrater.com) 2015 5 Star Dealer Award (Edmunds.com) 2015 & 2014 Top Certified Pre-Owned dealer (Jeep.Dodge,Chrysler,Ram) Locally owned and operated for over 70 Years! CERTIFIED PRE-OWNED VEHICLE!. CARFAX One-Owner. Clean CARFAX. Odometer is 12652 miles below market average! Certified. White 2018 Chrysler 300 S RWD 8-Speed Automatic 3.6L V6 24V VVT Priced below KBB Fair Purchase Price! 19/30 City/Highway MPG COME SEE WHY WE ARE TOP RATED BY OUR CUSTOMERS! 2015+2014 Colorado Dealer of the Year!!!!! (Dealerrater.com) 2015 5 Star Dealer Award (Edmunds.com) 2015 & 2014 Top Certified Pre-Owned dealer (Jeep.Dodge,Chrysler,Ram) Locally owned and operated for over 70 Years! CARFAX One-Owner. Clean CARFAX. Certified. Silver 2018 Dodge Challenger SXT RWD 8-Speed Automatic 3.6L V6 24V VVT 19/30 City/Highway MPG COME SEE WHY WE ARE TOP RATED BY OUR CUSTOMERS! 2015+2014 Colorado Dealer of the Year!!!!! (Dealerrater.com) 2015 5 Star Dealer Award (Edmunds.com) 2015 & 2014 Top Certified Pre-Owned dealer (Jeep.Dodge,Chrysler,Ram) Locally owned and operated for over 70 Years! CERTIFIED PRE-OWNED VEHICLE!. CARFAX One-Owner. Clean CARFAX. Certified. Silver 2019 Jeep Cherokee Limited 4WD 9-Speed 948TE Automatic 3.2L V6 Priced below KBB Fair Purchase Price! 19/27 City/Highway MPG COME SEE WHY WE ARE TOP RATED BY OUR CUSTOMERS! 2015+2014 Colorado Dealer of the Year!!!!! (Dealerrater.com) 2015 5 Star Dealer Award (Edmunds.com) 2015 & 2014 Top Certified Pre-Owned dealer (Jeep.Dodge,Chrysler,Ram) Locally owned and operated for over 70 Years! Leather Panoramic Sun Roof and Navigation!!! COME SEE WHY WE ARE TOP RATED BY OUR CUSTOMERS! 2015+2014 Colorado Dealer of the Year!!!!! (Dealerrater.com) 2015 5 Star Dealer Award (Edmunds.com) 2015 & 2014 Top Certified Pre-Owned dealer (Jeep.Dodge,Chrysler,Ram) Locally owned and operated for over 70 Years! Do you want a like-new vehicle for a used-car price with good mileage? Pueblo shoppers can find theirs right here at Perkins Motors! Our impressive inventory of certified used cars in Colorado Springs includes Chrysler, Dodge, Jeep, and Ram vehicles — all thoroughly inspected and warranty-protected. 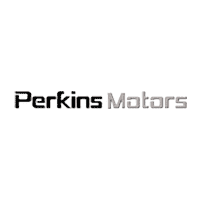 Why Choose Certified Used Cars in Colorado Springs from Perkins Motors? In addition to excellent CPO benefits, we offer flexible financing solutions and pre-owned vehicle specials for our Castle Rock and Canon City customers. Apply for financing online, and our sales and finance team will help you find the CPO car, SUV, or truck with the power and features you need at a price you can afford. Want to sell your current vehicle, and put its value toward a certified pre-owned car? Value your trade online to get started!